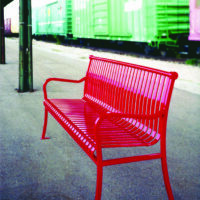 Backed benches are the most comfortable and most common style of bench. Available with decorative cast ends, streamlined bar ends, decorative laser cut ends, and tubular designs for embedded or surface mounting in 48″, 72″, and 96″ lengths. 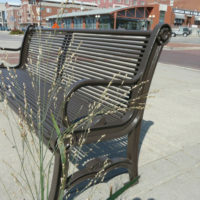 Arched back benches are popular for memorial benches with the addition of a customized plaque. 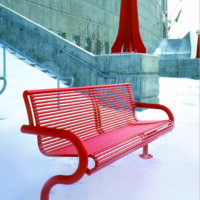 Choose from several design collections of benches to meet your project’s site furnishing requirements. 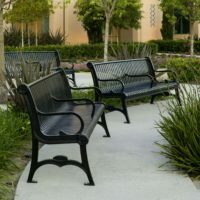 Whether you are looking for a classic look, sleek urban look or something completely customized, our benches will exceed your expectations. 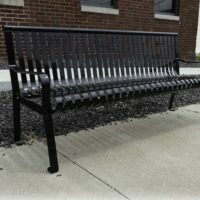 Benches are available in horizontal slat, vertical slat and horizontal rod styles and can be customized to fit your specific needs. We are committed to exceptional customer service, in-stock availability for select items and delivery in 4-6 weeks for custom orders. 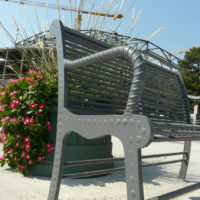 Our site furnishings are 100% recyclable steel and manufactured in the Midwest. The entire product line carries a Lifetime Functional Warranty, and our low-maintenance, environmentally-friendly finishes carry a 10-year warranty. We welcome an opportunity to prove ourselves to you! Request a quote on your favorite collections or call 800-247-7668 for creative solutions to your site furnishings problems.